How to Select a Good Chinese Drop Forging Supplier? Home » News » How to Select a Good Chinese Drop Forging Supplier? d at our services. And almost all of them are happy to keep business relationships with us and we sometimes are even recommended by them to other companies who need drop forgings. So we sincerely feel that all endeavor is worthy. *Quality systems: Are you ISO, API, TS16949 certificated? Or any other certificates? ISO is the basic certificate. If you plan to purchase auto parts, then the supplier you choosed much have TS16949 certificate. And for oilfield pipe fittings, API is required. *In house equipments: What kind of equipments do the supplier have? 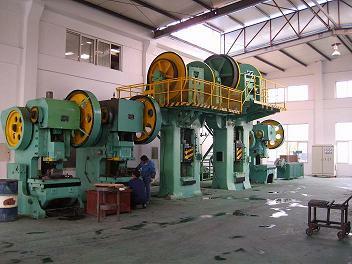 Except for forging equipments,are machining equipments also exsited? Not each drop forging factory could offer you machining service, they may just have some forging equipments and supply you forged blanks, or have to do machining from outsouring factory. It is not cost-effective.So if you have machining demands, it is also very important to check if the machining can be done together. *Capability: Capability will directly show the strength of a drop forging factory. Like Fly Drop Forge Co.,ltd, our annual capability is 10000t, from this data, you will know that we are a big factory. The capability of small drop forging factories will be much lower. *Quality control: How do they do quality control to ensure high quality? Completed quality control system shows in the aspect in raw material purchasing, quality testing on each process, testing equipments, the skills of worker, ect. *Lead time: What is the shortest lead time? Lead time should be confirmed before placing orders. For some seasonal products, it is fatal and any delay may cause big loss.